offer a way of moving from Self-Centred living to a life lived from Truth and Reality. This Full-Day Meditation Retreat offers us an opportunity to connect to life in a deeper and more meaningful way developing insight and understanding into the Truth and Reality of things. We will sit and walk in Meditation, ask questions, gain clarification and insight. 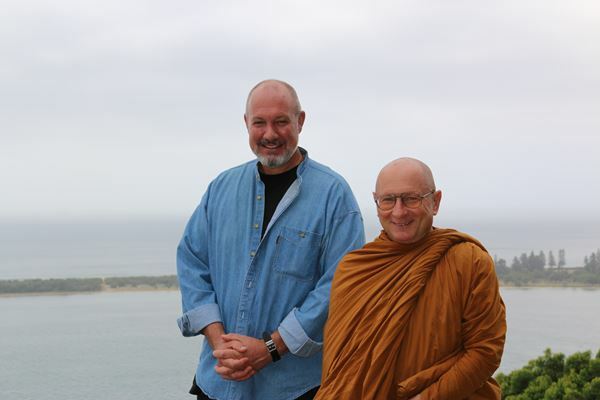 Venerable Ajahn Tiradhammo has been a Buddhist Monk for over 40 years. He is one of the world’s most senior western Theravada Forest Monks and is a Senior disciple of the Meditation Master Ven. Ajahn Chah. After many years in North-East Thailand, he was invited to England to help in the establishment of the western monastic communities there. He has been the Abbot of several monasteries in England, Switzerland and New Zealand.